I'd be chucking them both based on that post. เพื่อนที่แท้จริงคือคนที่หายากที่มาหาคุณในที่มืดและนำคุณกลับเข้าสู่แสง​ - True friends are those rare people who come to find you in dark places and lead you back in to the light. Admitting he's tried to game it. Whined about Wargamings generosity and bypassing the swear filter. I look pass what was written and look at how many are going. Also as stated he asked the following: is this selective or what first time here in NZ yet only 50 seats [edited] and you have 53 going​ << I am assuming he may of applied to this gathering. For a first time WoT Gathering in Aotearoa I would of expected more than 50 max limit. Hopefully WoT will have another gathering here in Aotearoa closer to our area CNI. 50 capacity is basically because it is our first WGG in NZ and we're not sure how many people would actually be interested in going. Plus that's also the recommended number of people advised by the venue. Oh well, looks like I missed out on this. Only myself to blame, don't go to forms that much. I have waited this long for the first one, hopefully the next one will be bigger. Well, his main didn't get in on account of him inputting the wrong email in the RSVP. WG finally do a gathering in NZ as has been asked for, somebody stamps up and down throwing toys everywhere. I have applied but are there plus 1's? Lol @ Toys << did I miss th@ part in the posts. 2 - The stipulated number for the event has exceeded the 50 Max - ??? 3 - As stated by you above "are there plus 1's?" so am I to assume th@ is how you are No: 52 in the list of people going to the event. The list is in alphabetical order, so the fact I am at number 52 is solely to do with my IGN starting with a letter of the alphabet that is quite close to the end. Any more questions based on having no comprehension skills? Edited by Taney_Local, 20 May 2017 - 08:27 PM. Maybe you should stop complaining and hope that this event goes really well and that will mean a second New Zealand gathering in the future at a larger venue. WG werent sure how man New Zealand players would turn up due to the travel;times involved. I re-checked your RSVP. You RSVPed twice using the Back_stabba IGN... and in both cases, the wrong email was used. As for going beyond the 50 slots allotted, I checked with our events team if they would be able to accommodate a few more people and they said that it should still be okay, so that's why there are 53 people on the list. Stop using facts Elphaba. 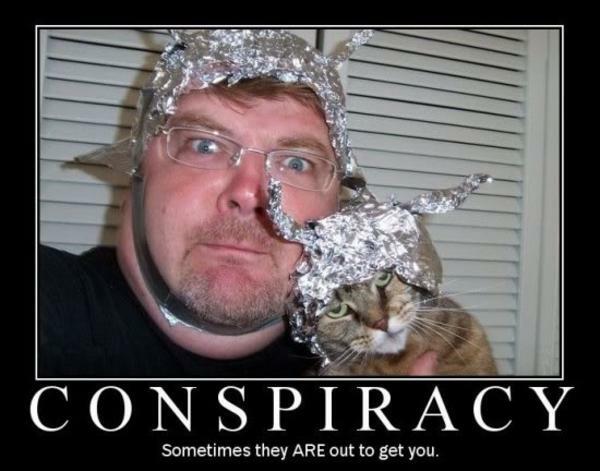 It's clearly a conspiracy. Hi did you even consider the number of anzacs in the NA server that might actually be interested? Perhaps for a future event. Like I said in a previous reply, we weren't sure how many were interested in attending as this is our first WGG in NZ.